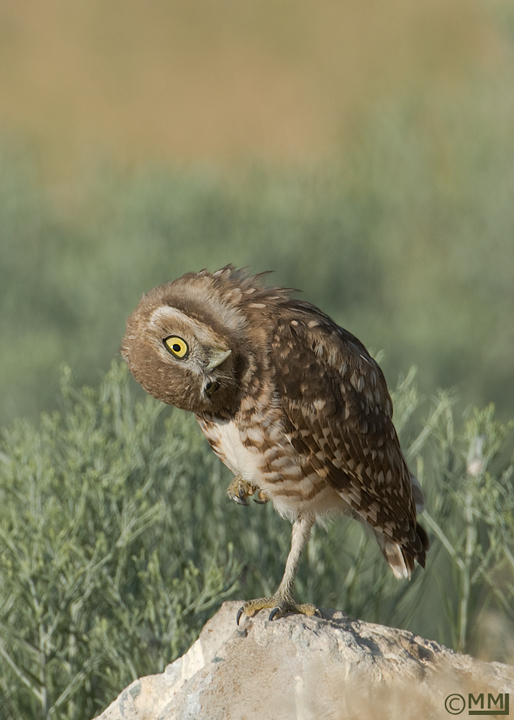 If you have never had the opportunity to photograph Burrowing Owl (Athene cunicularia) juveniles I would suggest you find a burrow and be prepared to laugh yourself silly. The adult Burrowing Owls are gorgeous but they seem slightly less animated than the juveniles. The three juveniles above were having a group preening session. 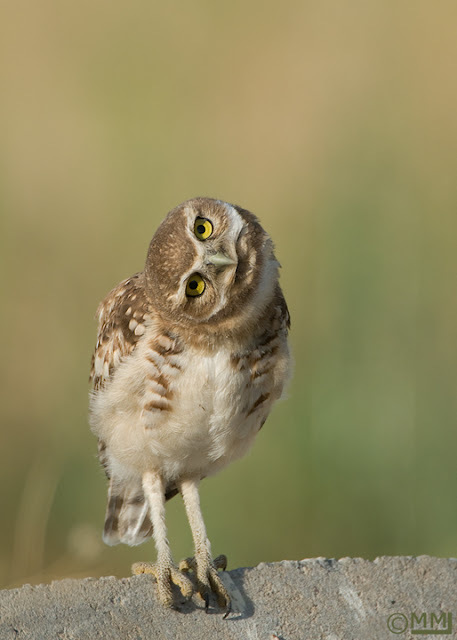 Juvenile Burrowing Owls appear to parallax more than the adults, twisting, turning and bobbing their heads. There are times that the juvies look so funny it is difficult to hold the camera and lens still because of laughing. They can almost turn their heads upside down. They can make the funniest faces. Look for interesting poses when the juvies groom. If you need a laugh watching these juveniles for a period of time will provide it, I can almost guarantee that. 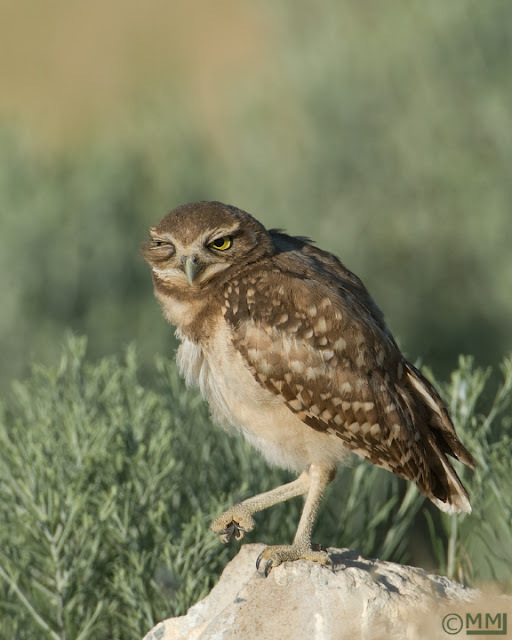 All of these Burrowing Owl images were taken at Antelope Island State Park in northern Utah. None of them were baited. 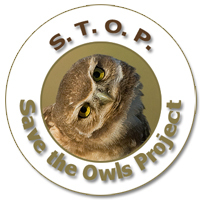 Western Burrowing Owls are on the decline in many areas, I was contacted by Alice Wu of S.T.O.P. (Save the Owls Project) in San Diego about their petition to save Burrowing Owls locally. I created a graphic to link to their site and will soon place that on every existing post I have made on my blog to help their Burrowing Owls. Love those poses Mia. Great job on the S.T.O.P. graphic also. I agree with you - these juvie owls make some of the most interesting photo subjects in the natural world. These just have to be the cutest owls. Great sightings and awesome photos. Have a great weekend! 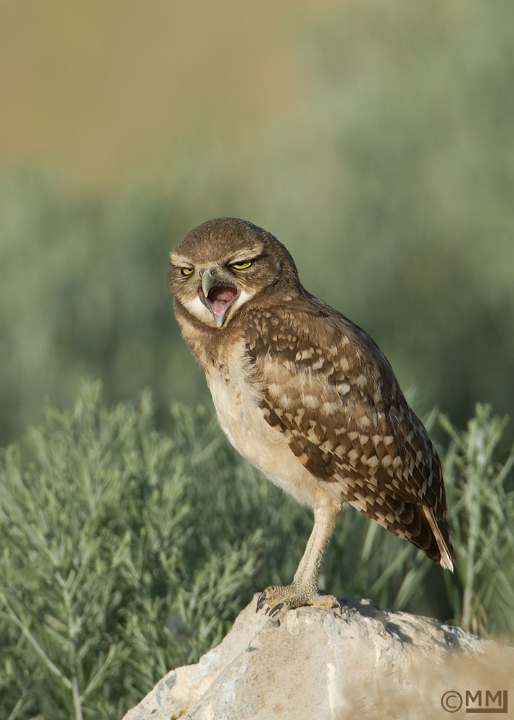 Great shots, I do love the winking Burrowing Owl. I love this post Mia! 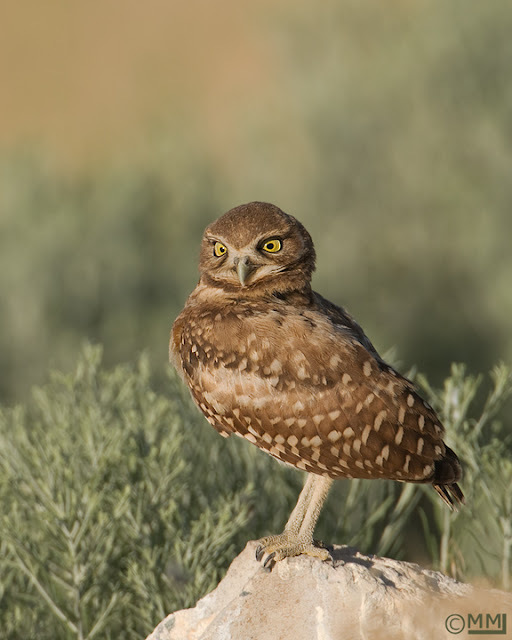 The juvenile Burrowing Owls are absolutely adorable! They look like they put on quite a show! Great job on the link as well. There's now better portfolio of Burrowing Owls than yours Mia. Thanks for sharing and for your work in helping to keep the Owls safe. Wonderful, wonderful shot, Mia. I keep hoping that I will run across some of these at the old Prairie Dog mounds at San Angelo State Park. So far, no luck, but I know other people have had the experience, so I will be patient. Cute! Thanks for the share. Great shots,they are so cute!! I love the way your blog brings me 'up close and personal' to birds I've never seen before - thanks! I had a great time with these owls at Cape Coral, FL last spring. They are full of personality and very fun to watch. Great post! Wow, wonderful pictures of this cute and funny owls! 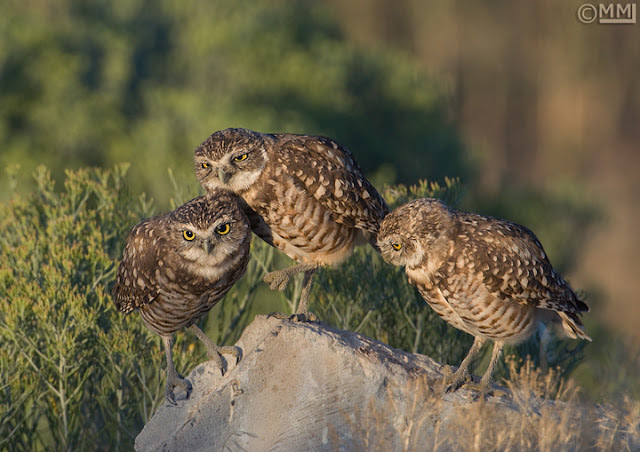 Oh how I would love to observe these adorable young owls in person. Your exceptional images captured their clownish behavior wonderfully. It must be an absolute joy to photograph such amazing, comical creatures. Outstanding post, as always!